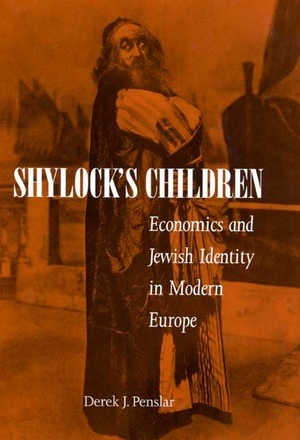 Throughout much of European history, Jews have been strongly associated with commerce and the money trade, rendered both visible and vulnerable, like Shakespeare's Shylock, by their economic distinctiveness. Shylock's Children tells the story of Jewish perceptions of this economic difference and its effects on modern Jewish identity. Derek Penslar explains how Jews in modern Europe developed the notion of a distinct "Jewish economic man," an image that grew ever more complex and nuanced between the eighteenth and twentieth centuries. Derek J. Penslar is Samuel Zacks Associate Professor of Jewish History at the University of Toronto and author of Zionism and Technocracy: The Engineering of Jewish Settlement in Palestine 1870-1918 (1991). He coedited In Search of Jewish Community: Jewish Identities in Germany and Austria, 1918-1933 (1998).